This bottle opener is chrome plated cast steel. It can be mounted for your beer bottle opening needs. 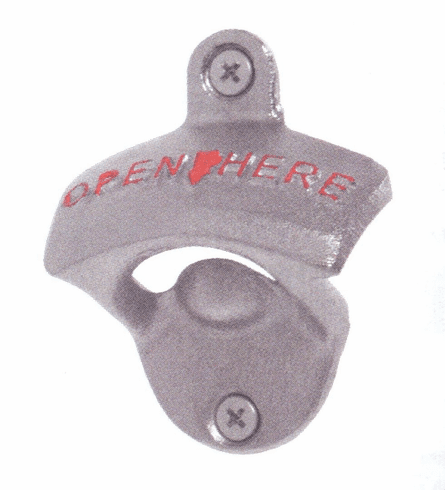 AND- it has "Open Here" written on it for those inebreated folks who "forget" how to open their next bottle of beer. W 3"